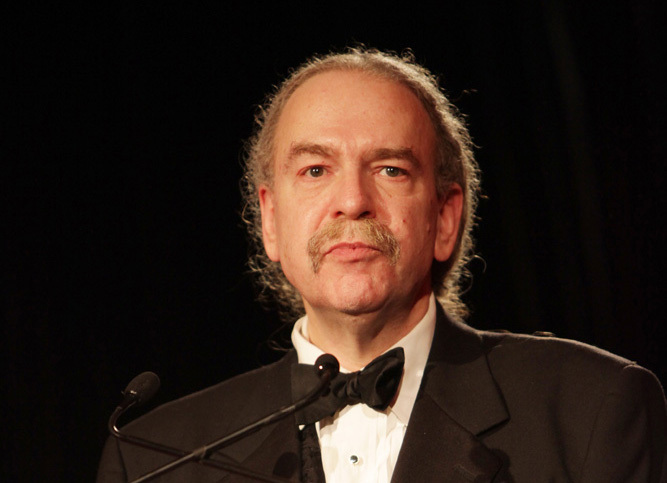 Steven Crist, a prominent and respected racing journalist who also served a stint in management with the New York Racing Association, announced his retirement earlier this week. Crist had worked for the Daily Racing Form since 1988 when he put together an investment group to purchase the publication. He was also the founder of the Racing Times and the racing beat writer for the New York Times. A Harvard graduate, he is the son of the famed film critic and academic Judith Crist. The TDN sat down with Crist to discuss his career, his accomplishments, his disappointments and his thoughts about the future of racing. TDN: You are relatively young at 59 and based on your columns over the last few years, you certainly haven’t lost anything off your fastball. So why did you pick this time in your life to retire? SC: Sometimes, you just know that the time is right. Once I got sick a couple of years ago, that kind of thing changes your perspective on things. Sure, I can still sit at the computer without drooling, but I can’t run around Saratoga the way I used to. It was just a combination of things and it makes you think, `do I really want to be saying on my death bed, I wish I hadn’t worked 10 years longer?’ It just felt like the right time. TDN: You don’t seem like a golfer or someone who goes fishing, so what will you do with your free time? And will you still play the horses? SC: I am a huge baseball fan, so I will be watching at least 162 San Francisco Giants baseball games a year. My parents were New York Giants fans and that’s how I became a fan. My mother actually insisted that (Hall of Fame pitcher) Carl Hubbell flirted with her in 1934 at the Polo Grounds. As for playing the horses, I don’t plan on doing it on the same daily basis. For the last 40 years or so I have handicapped almost every race run in Saratoga. I’m not going to be doing that this year. I’ll play on the big days and I will watch the stakes. But I’m going to take a little step back from it because I no longer have to know everything that is going on. I am going to try to get up to Saratoga toward the end of the meet for just a day or two. I hadn’t been able to go the last two years and I had been able to go forever before that. You know what a great place it is. And if you don’t have to sit in that firetrap (the press box) and work all day it’s even better. TDN: What will you miss most about your writing career and what will you miss the least? SC: I’ll miss that feeling you get when you feel like you nailed a column, something that needed to be said and you said it really well and you came up with good analogies. That’s a very proud feeling. What I won’t miss is when it doesn’t work. This is the first Thursday in forever that I haven’t had to produce a Saturday column, not that I haven’t skipped a few when I’ve been dead empty. That feeling of, `what am I going to write about this week?’ and you wind up having to squeeze blood out of a stone, I won’t miss that. I’ll miss the good times and not miss the times when I struggled to come up with a column. 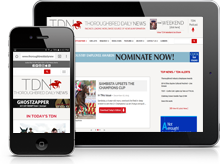 TDN: Of the many articles and columns you wrote over the years are there any that stand out, that you are most proud of? SC: I don’t remember the exact columns, but there were a couple of issues that I felt passionately about that stand out. One is the idea of changing the Triple Crown. It was only two years ago or so that you had people at NYRA saying we’ll move the Belmont back a week or two because the guy at Pimlico, Tom Chukas was saying we’re going to move the Preakness back a week. I just thought that would have destroyed the Triple Crown. Imagine if American Pharoah had won the Triple Crown right after they changed it. Imagine if he had won a Triple Crown stretched over seven weeks. All anyone would have talked about is, ‘Oh, he didn’t earn it, he’s not a real Triple Crown winner.’ The Triple Crown is one of the things that works perfectly in this sport just as it is. Don’t fool with it. There are plenty of other things that don’t work perfectly that you can spend your time on. I also felt strongly, and I don’t think this is entirely a New York homer thing, but when they were talking about relocating the Breeders’ Cup to California permanently, I thought that was so unfair. They almost did it anyway, running six out of nine at one point at Santa Anita. The whole idea of the Breeders’ Cup was to showcase different tracks, East Coast one year, Kentucky one year, California one year and a wild card for the fourth year. TDN: Were there any particular subjects you wrote about where you felt your complaints fell on deaf ears? SC: I also spent a lot of time writing about New York racing and politics and, with that, it’s hard to feel any sense of accomplishment. It just gets worse and worse and it doesn’t matter what they say, and they’re never held accountable for anything. What Andrew Cuomo has done, making a deal with NYRA and then taking it back, it’s just disgraceful. It’s one area where I felt like I never made an impact. I’ve been howling at the moon about this for years. They were supposed to get a 25-year deal. I thought we were supposed to be done with this nonsense and every year it is the same thing. That’s been the biggest frustration. TDN: Your thoughts on the state of New York racing? SC: I think NY racing is actually in pretty good shape. I think Martin Panza has done a really good job with the racing program and the big days. Whether or not everything he’s done has worked, he’s trying to do some admirable things, like getting 2-year-old racing going again, fooling around with these long-distance races. I know they are kind of goofy, but they are fun and there’s something to be said for that. TDN: Have you written your last racing column or, in time, will we see you back in DRF or somewhere else? SC: That’s not the plan. It’s not like I want to go do my job somewhere else or for someone else. I retired because I wanted to stop doing this, but I can’t swear that if in six months from now if somebody does something horribly stupid and I think nobody is talking them to task for it maybe I would write something. The Form has more than left the door open; they said I could be a guest columnist any time I want. I am going to try to be a little more zen about things and say, surely somebody will write that column that needs to be written. TDN: Before you took over the Form about the most enlightening story in any edition was “Six Go in Charles Town Dash.” There’s no doubt it’s a far better newspaper today than it was 30 years ago. What role did you play in that and how proud are you of the changes you incorporated at the Form? SC: I think the revolution was the Racing Times. The Form was exactly as you just described it. I look at old copes of the Racing Times and the roster of people we had was incredible. At the time, the Form had employees who rewrote press releases. We had real writers and reporters behaving like real journalists, wether the racetracks liked it or not. When we got a second chance at the Form, by then they had adopted a lot of the statistical additions we had made at the Racing Times, like Beyer figures, stories about handicapping. You look at a Racing Form from 30 years ago and it was unclear that wagering was permitted. Nobody wrote that side of it or integrated it into their coverage. The changes we made at the Racing Times were kind of a function of what I had been doing with my own handicapping, what I had to do marking up my Racing Form to be a bettor…looking up stud. fees, auction prices, is the trainer any good with first time starters? Things like that that nobody was being told at the time. TDN: While best known as a racing journalist, you did cross over briefly and go into management at NYRA. There were perhaps no two people on earth more unlike than you and your boss, Kenny Noe. The two of you had very different ideas about the sport. It seemed that you were handcuffed and maybe that was a frustrating job for you. SC: It was both good and frustrating. I actually wish that had been my first job because it was really educational to see how a racetrack operates from the inside. That experience could have made me better informed during my first 10 years as a reporter. Yes, I learned a lot being there. I came to like Kenny personally very much, but we really were at opposite ends of the spectrum. It was frustrating. I discovered there was ths whole political side to the job. Kenny and I took a lot of early morning plane rides up to Albany to talk to dopey legislators. You had to do them favors or give them things. It was just horrible. If you ever took a job as a sort of spokesman, I’m sure you’d feel the same way. I knew I was often on the wrong side of the bench. I’m the guy who’s supposed to be saying, ‘Come on, that’s not true,” instead of being a spokesman making prepared statements trying to justify something. TDN: Unlike a lot of racing journalists, you’ve never come across as a doom-and-gloomer. Why are you relatively bullish on the future of the sport? SC: I really do feel positive about future of sport. Maybe I still am being a pollyanna, but I feel like the big hit is over. Handle has flattened out and we’re getting close to the right number of racing days. I really think that has so much to do with the big declines; there was too much racing and not enough horses. Are you really surprised the public wasn’t interested in betting on five-horse fields at Parx? That’s a lousy product. Given that things have been right sized somewhat and there’s now the ability for people to watch every race at home in high def and bet on their computers the sport has to grow. It’s too good a game not to. The industry is beginning to realize they are in the wagering business and not in the face painting and pony ride business. It’s taken a long time to get there. The are bright people who are starting to make account wagering and TV the industry’s main priority. There’s no reason this shouldn’t work. At the very top it’s the greatest game there is. TDN: We’ve appointed you racing czar for a day. What are some of the things you’d like to fix? SC: I still think they’re not really putting together in-home wagering in an attractive way. I don’t think anybody has got it quite right yet . If they could, that could really move the needle significantly. The stakes schedules and how we present the best of racing needs some work. Why can’t the first Saturday of every month be a mini Breeders’ Cup, with major races for every division.. The problem is right now we have a lot of once a-year-racing fans and a lot of 200-day-a year racing fans. We could use a lot more 10 to 15-day type fans. Other than the Triple Crown and Breeders’ Cup, sure, people like you and I you love a lot of other races, but no one else even knows about them. We need something again like the ACRS that organizes the sport. If people knew that on the first Saturday of every month something really special is going on in racing that would really help. I know it’s not a big issue to lot of people, but, as I’ve said to the point where I’ve probably bored people to tears, if you fix these IRS regulations I think there would be a surge in handle that people wouldn’t believe. There’s the mathematics of churn and if you take away $1,000 from a bettor every time he hits a lousy $5,000 Pick Six think how much money doesn’t get run through the windows again. You could put millions of dollars back into people’s pockets and put it back into circulation and it’s going to get re-bet over and over again. TDN: Favorite horses? Favorite races? SC: I’m still quite fond of Easy Goer’s Belmont. The other horse, on sheer talent, was Ghostzapper. I was a huge fan. He was absolutely brilliant. Yes, it would have been nice to see him run more often but he did it all, seven furlongs to a mile-and-a-quarter. More recently, it is Rachel Alexandra. Her 3-year-old season was the best season I’ve ever seen by a 3-year-old filly. To win the Preakness, Haskell and Woodward is unparalleled. I liked a whole lot of horses but those three come to mind.